The Port of Friday Harbor is a governmental entity organized under Washington State law. 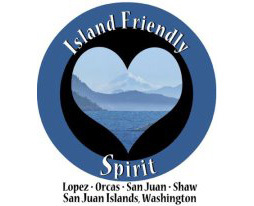 The Port District includes all of San Juan Island, and property owners in the district pay a small portion of property taxes to support the mission of the Port. In 2018, the owner of a property valued at $350,000 paid approximately $57 in Port taxes. Almost all Port revenue comes from the operation of the marina, from airport user fees, and from rents for buildings, hangars and moorage slips. These revenues support the maintenance and operation of Port properties and pay for new construction and upgrades to the public’s infrastructure. Some larger projects are financed with grants from the federal government, Washington State and other sources. The Port has financed large marina projects with the sale of bonds that are paid from marina operating revenues. Each fall the Port Commission adopts a budget for the following year to guide operations and construction expenditures. The public is welcome to comment on this document through a public hearing. The Port’s operating budget is about $3 million per year. The Port’s financial statements are audited each year by the Washington State Auditor’s Office, and the Port has received more than ten years of “clean” audits.